Home » ROE News » Snowboarding is fun in Tencent’s Ring of Elysium game! 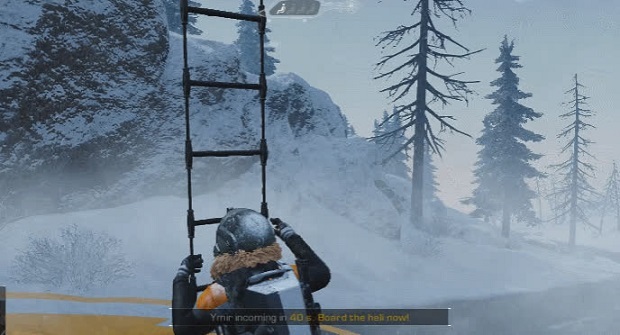 Snowboarding is fun in Tencent’s Ring of Elysium game! 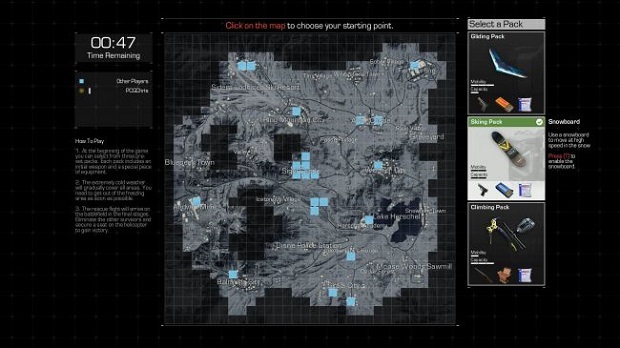 Progress in Ring of Elysium game and players will have the chance to explore another dangerous environment with other enemies. Like the original, try to survive and escape as soon as possible. However, your match will become more exciting when the last four characters will still keep fighting against each other even though they can escape without difficulty. Actually, there are four empty seats on the rescue helicopter and those people left alive. But, they went insane and they attempt to kill everybody to be the only survivor. It’s said that old habits die hard. 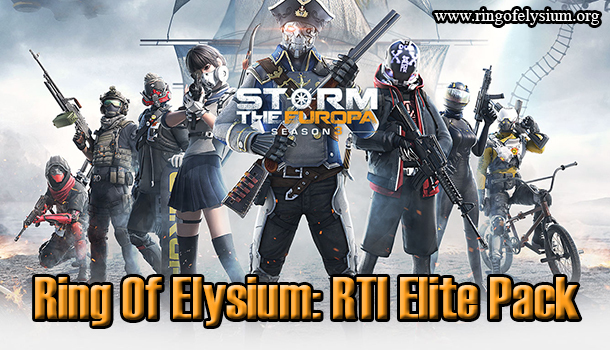 Currently, Ring of Elysium game is available on Steam (in certain regions of the world). It is free and owns a few changes on the standard Battle Royale experience. So, you are recommended to give it a try. It is possible to use snowboards. You can slide and shoot your opponents at a time. It is regarded as SSX Tricky meets PUBG. RoE game is dissimilar to what you see as boilerplate BR. At the start of a deathmatch, you will be given a map of the playfield. Just click on the grid that you expect to begin, whilst paying attention to which position other persons have selected. There will not be any pointless moving around in a lobby punching everybody first. Additionally, there is no aircraft ride to sit through: You will appear in the area that you like. Aside from that, you are allowed to opt for one of the three loadouts, which all embark on the combat with a weapon (pistol or shotgun), together with a limited amount of ammo, first-aid, and a unique movement ability you love. A climbing gear – It helps you scale specific cliffs which are marked on the minimap. Although climbing in Ring of Elysium game is considered very useful, snowboarding will be more interesting, and even, it will offer a good strategy. 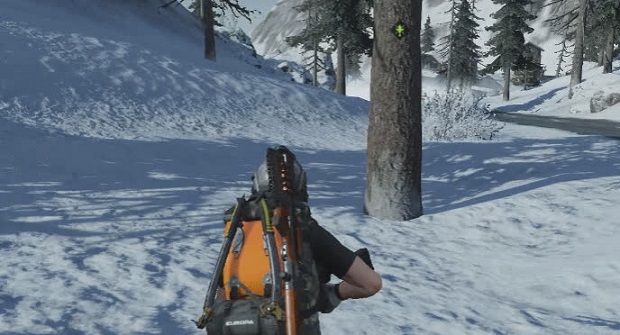 Snowboarding is a nice quiet option if you are heading to somewhere in Ring of Elysium game. Besides, it is quite fast. Furthermore, it is an alternative to a vehicle that emits noise attracting your antagonists. Meanwhile, hang gliding is also silent and enjoyable. Nevertheless, you need to seek something to fling your body off. Warning zone (blue/yellow/red) – When the match continues, it will be snowy. The temperature drops from 5℃ 41F to -14℃ -25F. Danger zone (black) – It is the ultimate stage the storm will turn into a Blizzard. The temperature is below -15℃. Not only that, the cold will influence your HP. 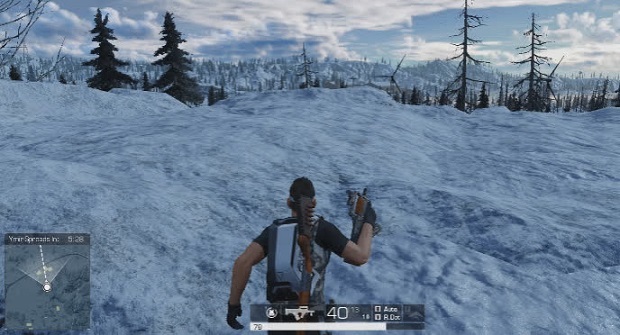 The winter storm in Ring of Elysium game will move like a circle of death. It will herd everyone together in a final safe zone. At that moment, a chopper pops up and flies to an assigned location seen on the map. The storm will rapidly cover the place that you and others are staying. It will cause damage to anybody along the way. That can make you mad. Therefore, you decide to eliminate all to be the one who can run away although you and three other people can escape at once. While you are climbing the ladder, you can be destroyed by those who are left on the ground. Ring of Elysium game provides a smooth and thrilling gameplay that brings back enough events to what you imagine from Battle Royale to feel a little fresh. It has had thousands of players on Steam so far. Thus, matches will be full quickly. Are you ready to play RoE and discover improvements? Good luck!